This should've been Apple Music's first original program not Planet of the Apps. I'm actually looking forward to watching this. I'm interested in this as I've enjoyed the small segments on his late night show, but I'm not going to sign up to Apple Music so I can watch it. I envision amateur copycats popping up on YouTube, which could turn this series into a minor phenomenon. Apple likely won't invite such flattery as it could place people in danger driving around filming themselves versus paying attention to the road, but lacking that risk there would be a great opportunity to issue a competition, ala the annual amatuer commercials challenge issued by Doritos. Wouldn't that have already happened with the popularity of Carpool Karaoke over the last several years? Would love for this to be a big success for Apple, but the idea seems played out to me already. I think it enjoyed niche popularity. And maybe that'll still be the case given the limited size of Apple Music's installed base. 1) I feel like this is simply to promote Apple Music so even if it's just people being attracted to a single artist they happen to love it should help drive some attention. 2) I still hear people dumping on Apple Music but it's paid subscriber base is already 1/2 that of Spotify. What was it when they bought it from Beats 2 years ago? I don't get it, but I understand that not everything Apple does is geared around me. Isn't it irresponsible to sing and drive? 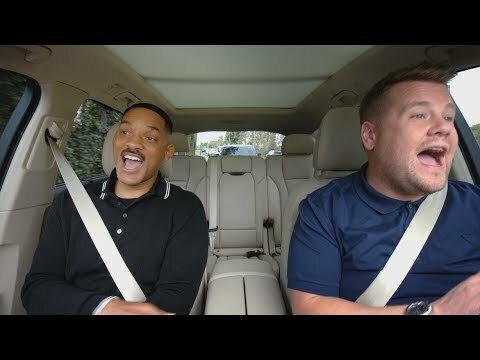 I understand that Carpool karaoke is tangentially related to music. However, shouldn't video content be part of  TV instead of  Music? Or is  Music a streaming version of iTunes? Craig Federighi, Eddy Cue, and Jimmy Iovine, will only get me sign up to Apple Music if they makes it a standalone app in macOS. Until then I will stay with Soundcloud, for as long as it lasts … . EDIT: Apple should buy Soundcloud if they are serious about Connect. The bits with Corden and various stars was brilliant. Simple and fun. I think Apple's version will be over produced and too gimmicky, as in a helicopter. But I'll watch to see how it goes. However, shouldn't video content be part of  TV instead of  Music? No. Music Video content, which this is, should be on Apple Music and/or iTunes. It could be on Apple TV, but 'should'— no. And it's promotional content for Apple Music. I disagree. Videos, Podcasts, and Books (about music) should each have their own app. From an Information Architecture point of view, it is a nightmare* if you try to cater for all in one app.  Music should give me full access and control to Music, as it is doing right now. iTunes ought to be scaled back to its core functionality: a Music Store and a Music Library. Connect ought to be a web application that gives me access to the music I own. As a member of  Music, I would also be able to (1) have access to my liked music and music playlists from  Music, and (2) discover other people's likes and music playlists. The Connect web application would reside in iCloud.com. Of course, these ideas need to be verified first with user research interviews. I agree to disagree. Music videos with Music. Just because it's video is no reason to relegate it to Apple solely to ATV. Allow it to show on TV also? Sure, why not. Restrict it to ATV? No. One should be able to access all musical content in at least one place. Music videos in a separate location isolated from the rest of your music? Not a chance. This is where Personas* come in handy: to steer clear of internal conflicts between industry experts, designers, and engineers. (*) Fictional users with set goals & behaviours, based on user research interviews.